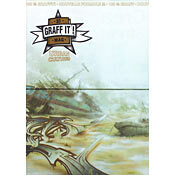 Graff It Magazine Issue 37 Dope French Graff mag. Lots of pieces and productions. If you like an issue full of productions then this one is for you! Dope French Graff mag. Lots of pieces and productions. If you like an issue full of productions then this one is for you!